By January the children have formed their own community. They are settled in at school and have found out alot about each other. They know who to ask for help getting water, or tying a bow, getting shoes on and much more. The oldest children LOVE being the leaders in the group. They have been in the classroom for many years now and know how things work. 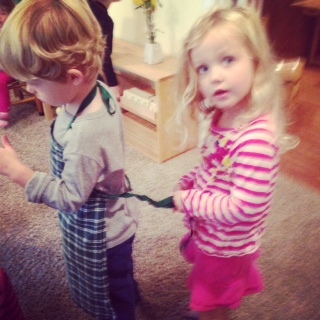 The younger children look up to these “helpers” and enjoy receiving help from them. 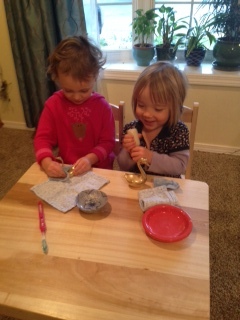 The oldest children adore the younger children and are thankful that they have someone to “impart their knowledge to”. The Montessori model allows children to be in the same classroom for three years which not only has academic advantages but also social and emotional advantages. They are allowed to move through the 3 years being the youngest, middle and eldest in the community. When we arrive back at school the children will tell each other stories about what they did when they were away. They will happily work and be thankful for being back together. 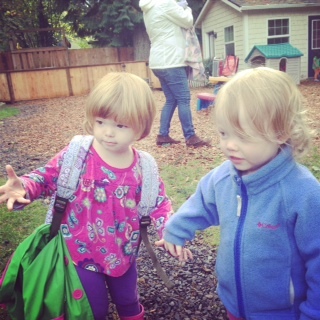 Community Montessori School, located in Lake Oswego, Oregon, offers a traditional Montessori environment for children ages 2.5 months to 6 years old. Children who attend CMS are provided a unique opportunity of self development in a tender atmosphere of special understanding, respect, and support. Special thanks to the Little Gym of Lake Oswego for hosting our holiday party! 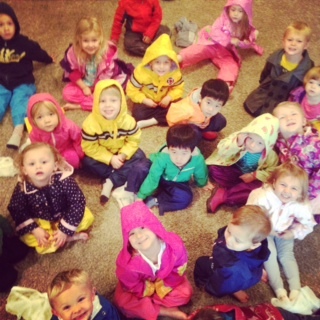 Check out Ginger's blog post about the great time the kids had at the Little Gym. 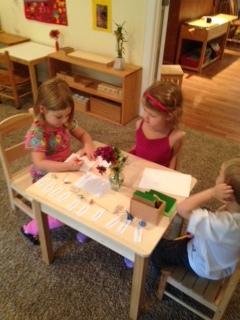 "CMS has been an amazing experience for our 4 year old and our entire family..."
Wondering what all the fuss is about Montessori? Don't worry, you're not alone. 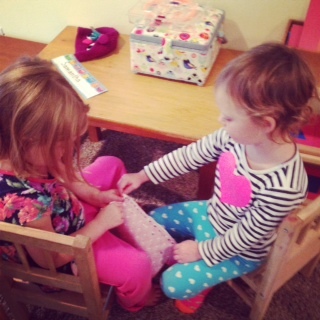 READ: The Fuss about Montessori: Why is it so darn great, anyway? Or fill out our Contact Form, and we'll get back to you as soon as possible.